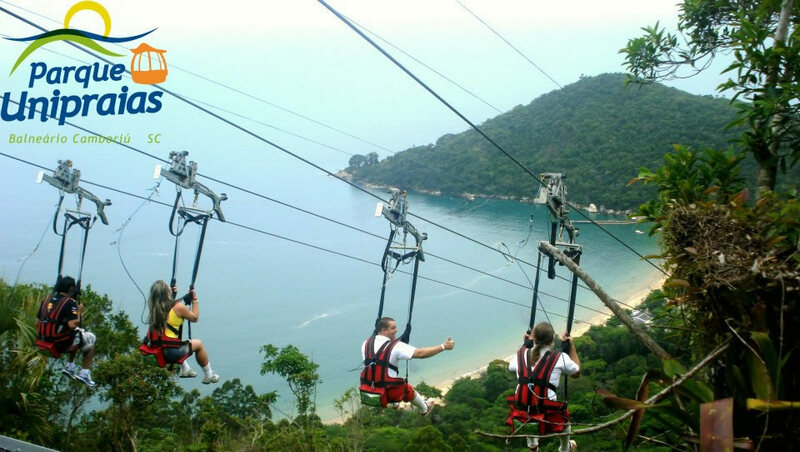 Balneário Camboriú is a major beach resort in the Brazilian southern state of Santa Catarina. 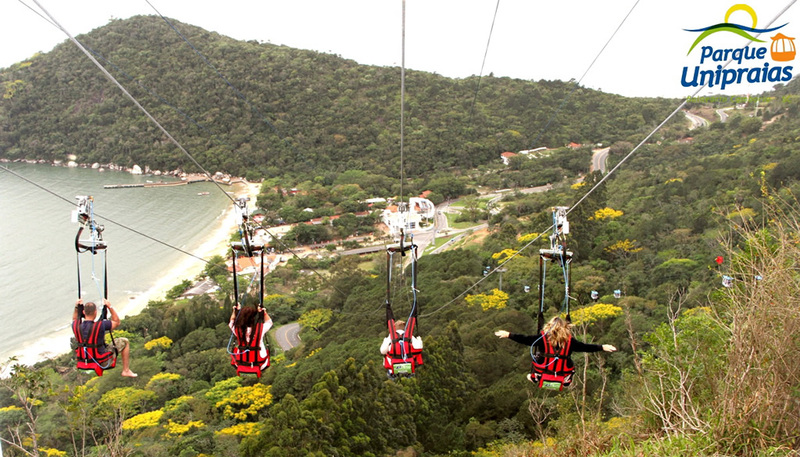 The town, with its steep hills dropping down to the sea, is a popular destination amongst South Americans. 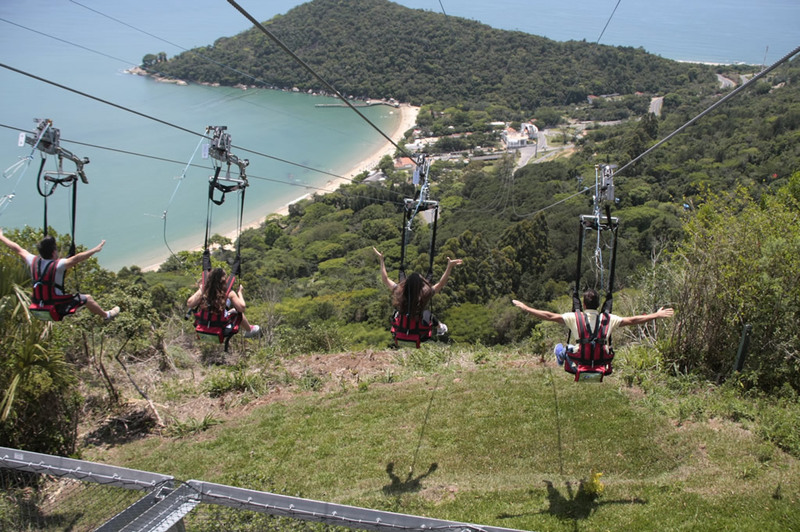 The town is located 80 km (50 mi) north of the state capital, Florianopolis, and has a population of 94,344, which swells to over one million in the summer. 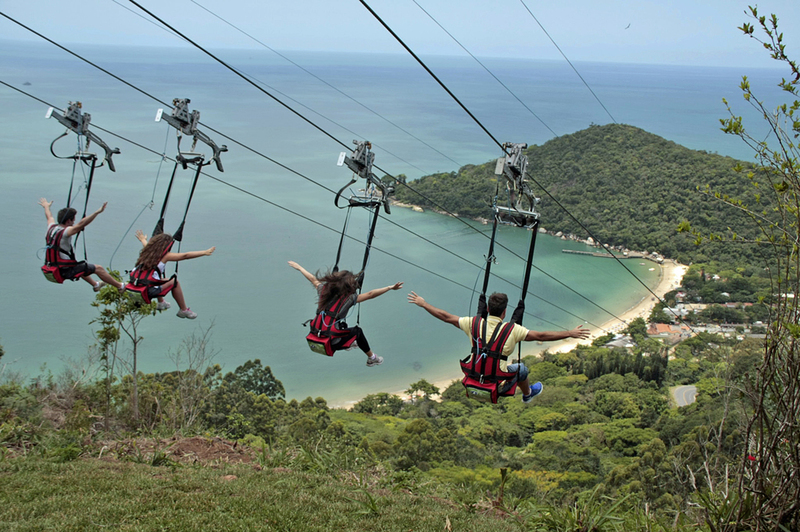 Balneário Camboriú is famous for the gondola which (uniquely in the world) links the two beaches of Balneário Camboriú and Laranjeiras. 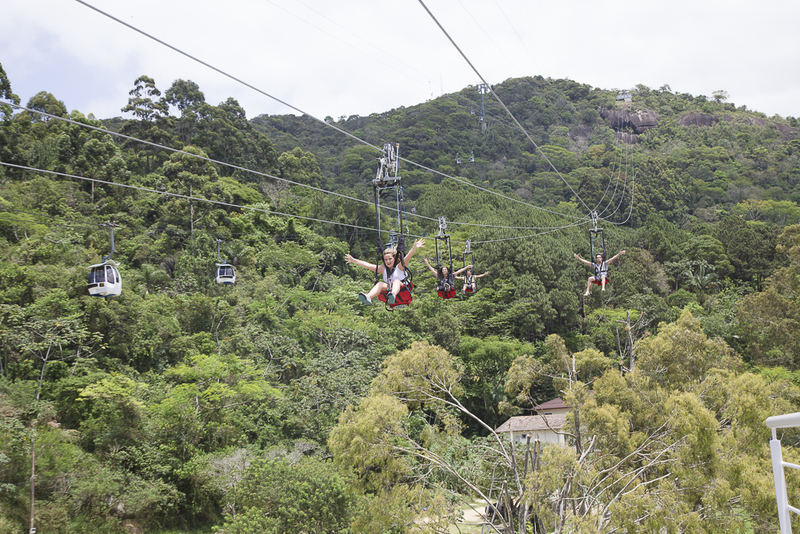 The gondola climbs from the Barra Sul Station 240 meters to the top of the Aguada Hill, serviced by the Mata Atlanica mid station. The attractions of Parque Unipraias are accesssed from this station, and the views of the shores below are stunning. 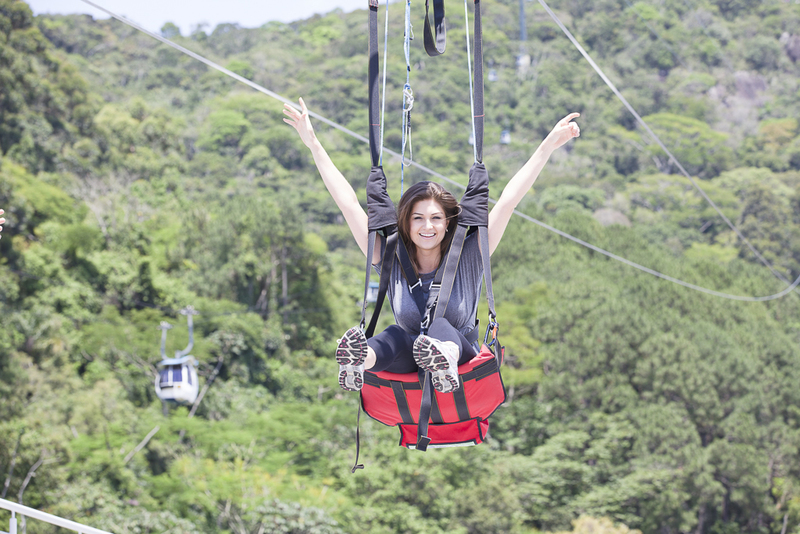 Guests have numerous adrenaline adventures to choose from. 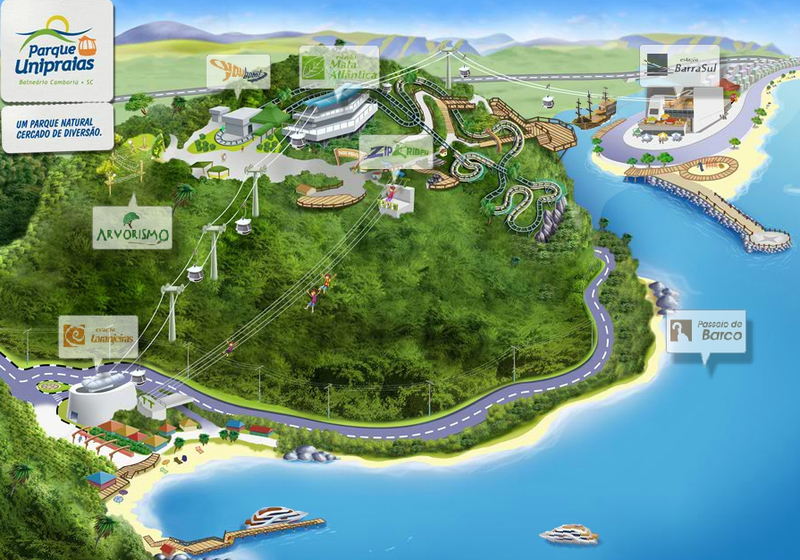 Guests can hit the world cup mountain bike downhill trail, ride the rails of the mountain coaster, and now, fly high above the jungle canopy on the new ZipRider! 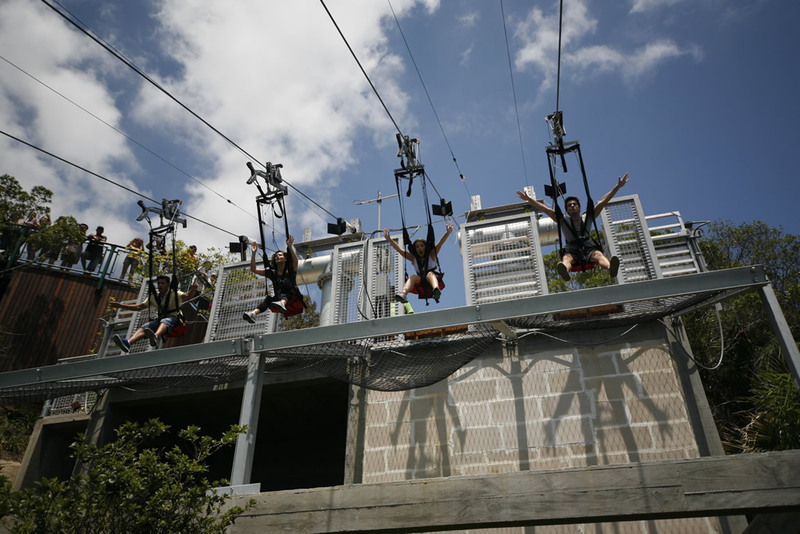 The ZipRider opened to the public late fall of 2012 in time for the park's busy tourist season. 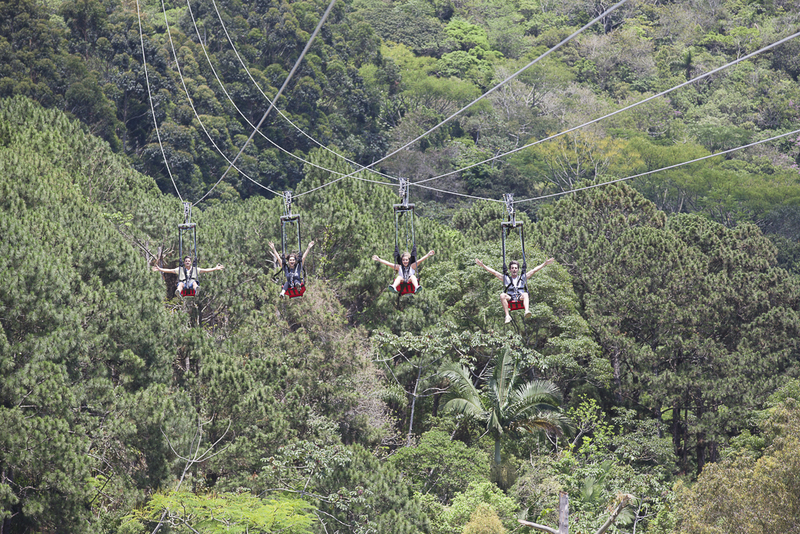 Guests reach top speeds of 55 mph as they fly from the top of Aguada Hill, high above the jungle canopy, to land at the bottom of the hill near the Laranjeiras station. The views of the ocean are spectacular! 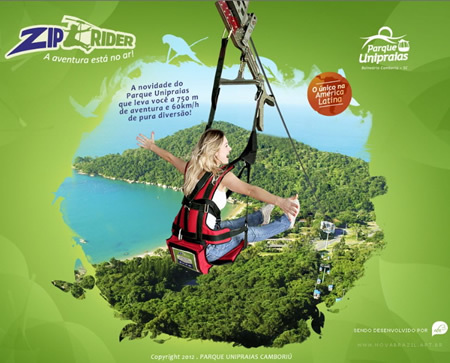 Once feet are back on terra firma, guests have access to the Laranjeiras beach, or they can take the gondola back up the hill for more ZipRider adrenaline or other adventures.